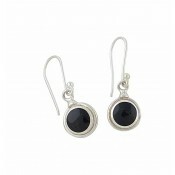 Celebrating simple partnerships, these sterling silver drop earrings are truly charming. 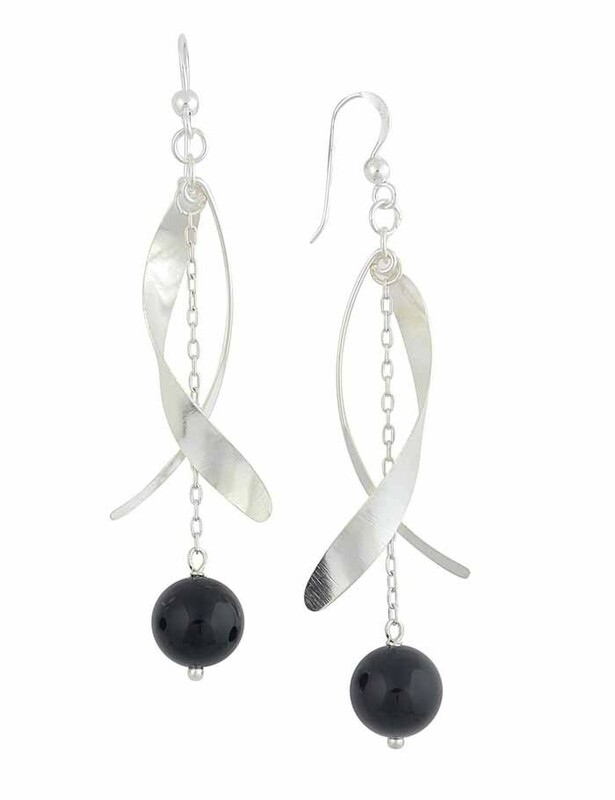 Created from polished sterling silver, two curved silver bars overlap at the front while a single Black Onyx bead sways from it's silver chain suspension. 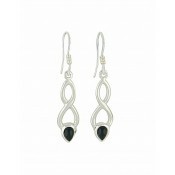 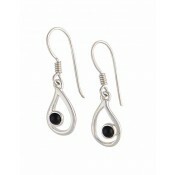 Comfortable and elegant - discover all day beauty with these versatile ladies dangle earrings.